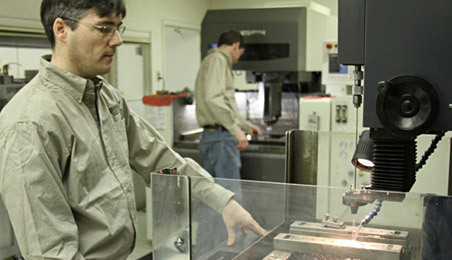 For over 30 years, the precision specialists at Dynamic Precision Tool & Manufacturing have been providing customers with tight tolerance machining for a wide range of applications and industries. 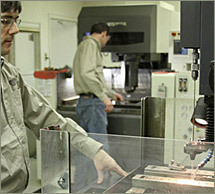 Our expertise in this area is exemplified by our precision wire electrical discharge machining (EDM). 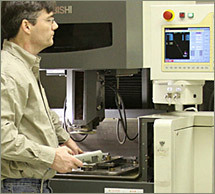 We can provide traditional and small hole wire EDM manufacturing with CNC control capabilities. Our state-of-the-art 4-axis equipment can machine features as small as .015”, and in lengths up to 20”, widths up to 14”, and heights up to 12”, all to tolerances of ± .0001”, creating surface finishes of 16 µin. 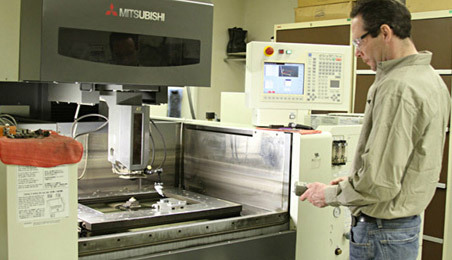 Our precision machinery can wire EDM a variety of materials, some of which are carbide, steel, brass, bronze, copper, titanium, stainless steel, nitronic 60, tungsten, Inconel, Hastelloy, and Monel. 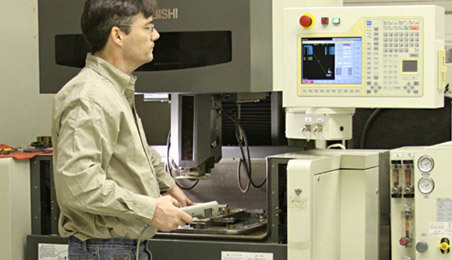 Our machined parts are used in assemblies, critical parts, precision components, and production parts for many industries, such as aerospace, defense, automotive, medical, technology, and oil field technology. We operate an ISO 9001:2008 certified facility and can provide compliance various industry standards. Our climate controlled facility, is geared for very fast turnaround, with typical lead times of just one week and rush services available. 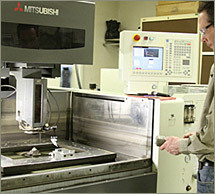 Many high level industries employ our wire edm services, some of which include the aerospace, defense, automotive, medical, technology, and oil field industries. Copyright © 2013 Dynamic Precision Tool & Manufacturing, All Rights Reserved.